Projects are temporary in nature. That means, every project has a definite start date and end date. After the completion of the project, the team is dispersed. Projects deliver Unique products or services as an output. Developing a new online course is a project. Designing a new car is a project. Manufacturing cars in large numbers does not fall in the category of projects as the output is not unique. Manufacturing cars falls under operations. To meet statutory, legal or social requirements. (New labor law can trigger a new payroll system. A new tax pattern also can trigger changes in the accounting procedures. A program is a collection of inter-related projects, which when done together gives more value / benefits, than doing them one after the other. A program is a collection of related sub-programs, projects, sub-projects that are managed as a program in a coordinated way through program management, performed by program managers. 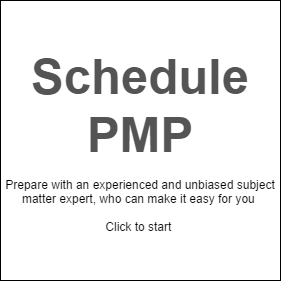 Program – Reduce traffic jams managed by Program manager. Comprises of multiple related projects. Each of these component projects are managed by Project managers. These project managers report to the program manager. Projects are temporary endeavours delivering unique products or services within the agreed upon time, cost and scope. Contrary to this, operations are ongoing in nature and delivers standard output. Designing a car is a project where as manufacturing cars falls under operations. Programs are groups of inter-related projects, which when done together provides more value than doing them sequentially. Programs are managed by program managers. Project managers of the component projects reports to the program manager. Organizations have business goals to accomplish. Organizational strategies supports the accomplishment of these business goals. Organizational strategies are implemented through programs, projects and other work. A project portfolio is a collection of projects, programs, sub-programs and other work which constitute the portfolio. Project portfolios are always linked to the accomplishment of organizational goals, and they are managed by Portfolio managers. Portfolio management is the centralized management of one or more portfolios to achieve strategic objectives, performed by portfolio managers. . While the programs have inter-related projects, the programs , sub-programs and projects within a portfolio need not be inter-related. For example, in my project portfolio, I have PMP online and PMI-ACP online and they are inter-related and at the same time they are part of my organizational strategy to accomplish my business goals. Choosing the best projects in terms of return on investment (ROI), Payback period which are in true alignment to the organizational strategy for growth. Post implementation monitoring the actual benefits Vs benefits forecast at the time of project selection. Operations management relates to the ongoing production of goods or services. Portfolios aligns the programs, sub-programs and stand alone projects with the business strategy, thus achieving better effectiveness. Program management optimizes the planning and execution of the program components thus bringing better efficiency. Project management ensures successful completion of the projects within the agreed upon time, cost and scope. Previous PostPrevious Why are the processes in PMBOK numbered from 4 onwards?